Two smartphones that are gathering a lot of attention at the moment are the Apple iPhone 5 and the upcoming Nokia Lumia 920, both flagship devices. Of course we now know the price for the iPhone 5 but a lot of us are still wondering about what the price will be for the Lumia 920, due for a release in Q4. Today we want to look at the iPhone 5 vs. Nokia Lumia 920 and the price expense difference. We’ve already given readers a straightforward specs comparison for these phones and more recently we compared the image stabilization camera feature on both. Today though we want to focus on pricing and apart from the fact that the iPhone 5 is an iOS device while the Lumia 920 will run the latest Windows Phone 8 operating system, it’s the price that could well be the deciding factor for many readers trying to choose between the two. Until now we hadn’t heard too much about the price for the Nokia Lumia 920 when it eventually reaches the shelves but now we have some leaked news on pricing. Let’s just say that if the leaks are accurate the Lumia will be substantially less expensive than the iPhone 5. The price for the unlocked iPhone 5 with no contract in the UK begins at Â£529 for the 16GB model and increases to Â£599 for the 32GB variant, according to ZDNet (some with-contract prices can be seen here). The Nokia Lumia 920 is only available as a 32GB storage model and some price leaks from the European market reveal very promising news. Although Nokia Germany previously announced the Lumia 920 price at around â‚¬649 it seems that Nokia in Italy is to price the Lumia 920 at â‚¬599 (Â£475). That is of course around Â£125 less than the equivalent 32GB model of the iPhone 5 and that’s quite a difference! ZD requested information from Nokia UK for the price of the Lumia 920 there and although a specific price wasn’t forthcoming the site was told it would be nearer to the Italian pricing. Therefore it looks as though the SIM-free Lumia 920 will be around Â£475 in the UK. There may be many people then who haven’t yet made up their mind about splashing out for the iPhone 5 who may be open to a Windows Phone 8 device instead and so it seems that Nokia has kept the pricing for the Lumia 920 both reasonable and competitive. Hopefully the above pricing for the Nokia Lumia 920 will be officially confirmed soon and we’d like to hear from readers about this. Would a price difference this big persuade to you opt for the Lumia 920 rather than the iPhone 5? Maybe you had already made a choice of one or the other and the price didn’t come into your decision? If so which will you purchase and why? Let us know with your comments. I’m going to get the Lumia 920. I’m a 2 iPhone owner for 4 plus years and was planning on getting the iPhone 5 as soon as it was released. I checked out the Lumia 920 and it looks to me to be a superior phone. I’d like to get the Lumia 920 but don’t want Nokia to be silly and price themselves badly in the market again. The N8 came out as a premium device and had a PAYG price 2 years ago of around Â£320 which was well reasonable for what it was. While Â£475 – 450 may be an affordable price for some, it is a HECK OF A LOT of money for a phone. Sell this Sub Â£430 – 400 and I could see this doing well. Above that, I see many looking to other, maybe cheaper, WP8 alternatives. i’ve had 3g, 3gs, 4, and may Skip the iPHone5 for this too. If it does retail for Â£500 or a little under, that is a reasonable price considering (if it all works correctly) it is a far superior phone to the iphone 5 (even if the iphone 5 worked correctly). Will certainly get my money at that price. I’ve fully intended to purchase the 920 as my next mobile device since the iPhone 5 was announced. I’ve owned all the iPhones and the 5 just left me wanting more (more screen, more features). With that being said if the 920’s subsidized price in the US is equal to or less than the iPhone 5 I will go along with my plan to buy it. I would take the Nokia 920 over the Galaxy S3 and the Galaxy S3 is a far better phone then the iphone 5. The Iphone lacks so many features and when will Apple redesign the look/style of the iphone, it has been the same for the past 3 years. 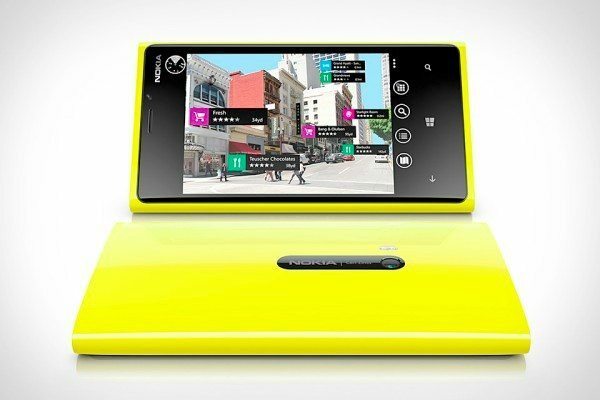 I would go for a Lumia 920 as it looks like much better phone than Iphone 5. I am using Iphone 4s and was planning to go for Iphone 5 but after going through the comparison of both mobiles and the ease of use of Lumia 920 i will definitely go for it. Same here, Had the iPhone 3G and now the 4. Was thinking about getting the five but for me it’s just getting old. When I seen the lumia 920 I was very impressed with out everything worked and looked. Plus that camera is great. Can’t wait till it come out on AT&T. Lumnia 920 of course hopefully it will be available soon. I was all set to get the Lumia 920 and I still am, as I was disappointed with the iPhone 5 (having been and still am an iPhone user for the past 4 years). I have Windows 8 preview running on my PC and I like it, it slots in nicely with my Xbox Live also, so I like Windows 8. I talked to an operative in the Orange store yesterday and they said that the phones that have the greatest percentage of returns are the Nokia Lumia range, so this person put her opinion forward and said chances are this will be the case with the Lumia 820 and 920. Problems such as the phone locking up, software issues etc. I’ll confess I’ve had virtually a flawless operation with my 4 year old iPhone.